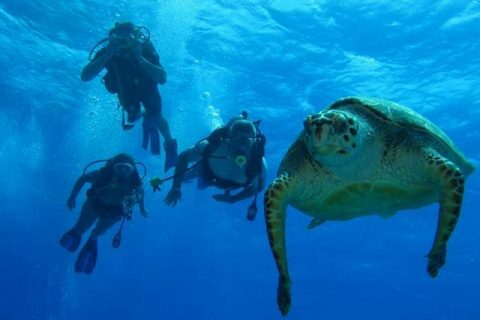 There are seven species of sea turtle in the world, all of which are either threatened or endangered. 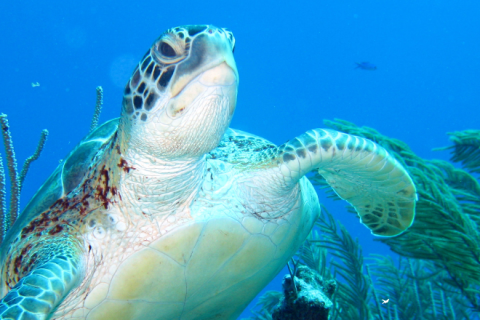 Akumal (meaning “home of the turtles”) contains one of the few remaining healthy seagrass habitats in the Mexican Caribbean coastline and is home to a large resident population of green turtles, Chelonia mydas. 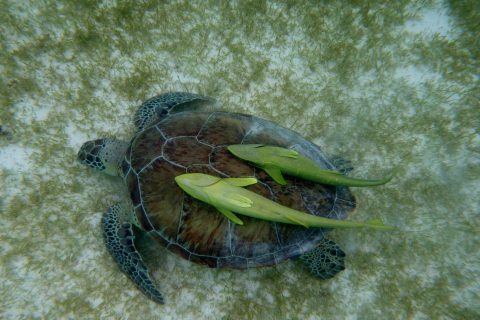 Immature green turtles (roughly 5-20 years of age) feed exclusively on seagrasses before reaching sexual maturity and travelling out to sea. Due to an influx of sargassum macroalgae in the Yucatan Peninsula in 2015, many of the seagrass habitats in the region died, meaning that Akumal is one of only a small handful of suitable feeding grounds for immature turtles. 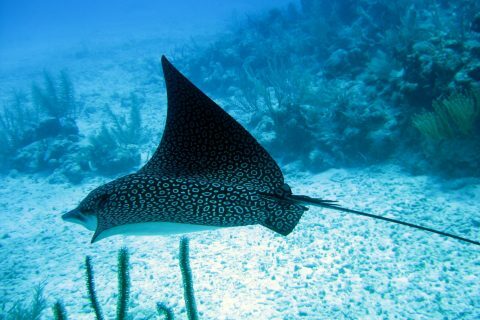 Over 80 individuals have been recorded in the seagrasses of Akumal Bay, but several years of unregulated snorkel tours with these turtles resulted in a decline in the turtle population and considerable damage to the seagrasses. 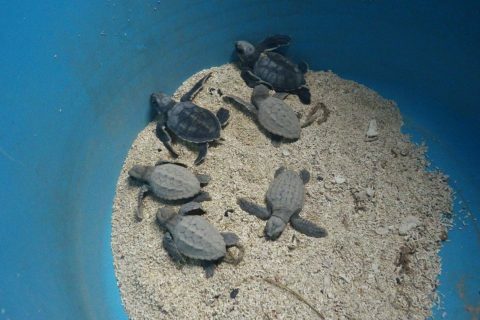 As Akumal Bay is now a marine protected area, the hope is that the turtle population will recover. 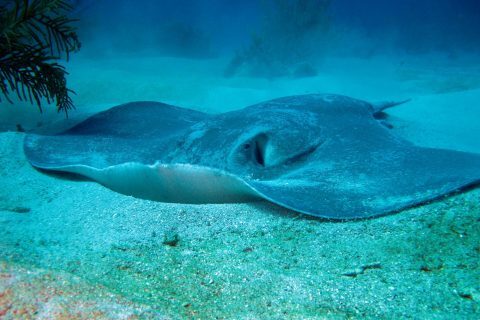 Snorkel tours with turtles have been restricted to a set route around the bay and the use of snorkel fins is prohibited in order to allow seagrasses chance to recover. 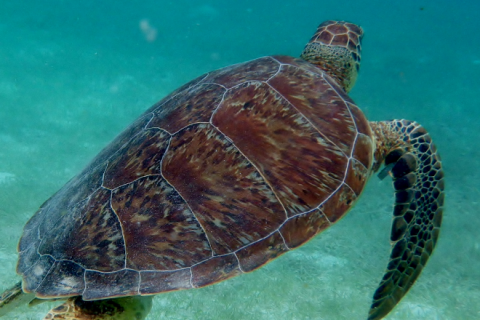 As the turtles preferentially graze in different areas each year, the distribution of seagrasses in the bay changes over time and the location of the designated snorkel route needs to change in line with this to ensure the continued recovery of the ecosystem. 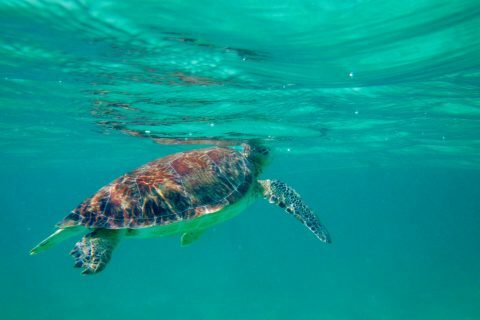 Research into green turtle feeding preferences will involve snorkelling with the turtles throughout the day to record their foraging patterns. Seagrass quadrat surveys will be used to determine the availability of the various species of seagrasses, which can then be compared to turtle feeding preferences obtained from behavioural observations. Belt transects throughout the bay will be used to estimate population density of the turtles and photographs of turtles along transects will be used to identify individuals in order to monitor departure of turtles as they reach sexual maturity and new arrivals into the bay. 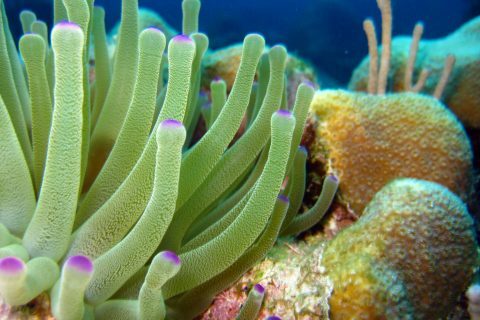 Photographs will also be used to monitor the recovery of turtles suffering from tumours that resulted from the combination of water contamination and chronic stress from unregulated snorkel tours prior to the formation of the new protected area.